Allison has been representing buyers and sellers of San Francisco investment property for over 17 years and is an expert in the sale of multi-unit, mixed-use and commercial properties. 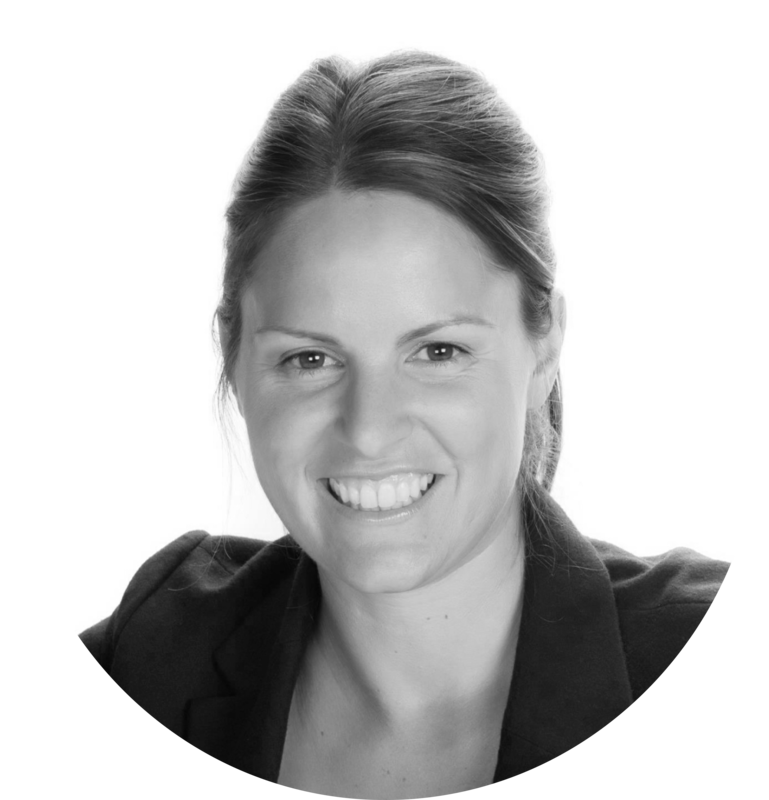 With a dedication to getting her clients exactly what they want and giving them a great experience along the way, Allison is known for her ability to achieve extraordinary outcomes. Allison is consistently recognized as a top agent for multi-unit, mixed-use and commercial properties in San Francisco. With an innate work ethic, a deep commitment to her clients, and a practical market insight, she has become the go-to agent for those buying and selling in San Francisco investment properties. Allison graduated from the University of San Francisco with a BS in Business Administration and a minor in Finance—a strong background for her career in investment real estate. Allison strives to provide excellent representation for buyers and sellers, with a focused goal on creating real estate successes for every single client. To see what clients are saying about Allison, please refer to the testimonials. For more information about the current San Francisco investment property market, or about your own real estate investment needs, please contact Allison. 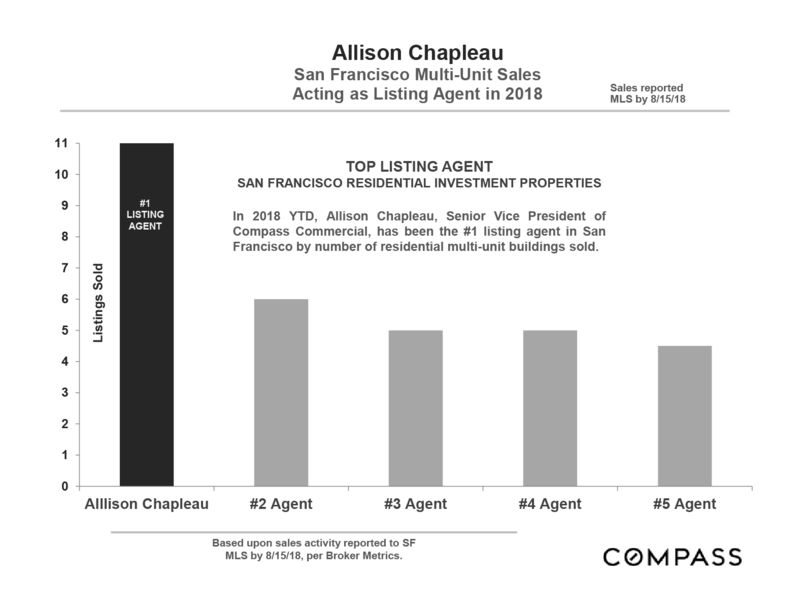 In 2018 YTD, Allison Chapleau has been the #1 listing agent in San Francisco by number of residential Multi-Unit Buildings sold. Based on sales reported to San Francisco MLS by 8/15/18, per Broker Metrics. 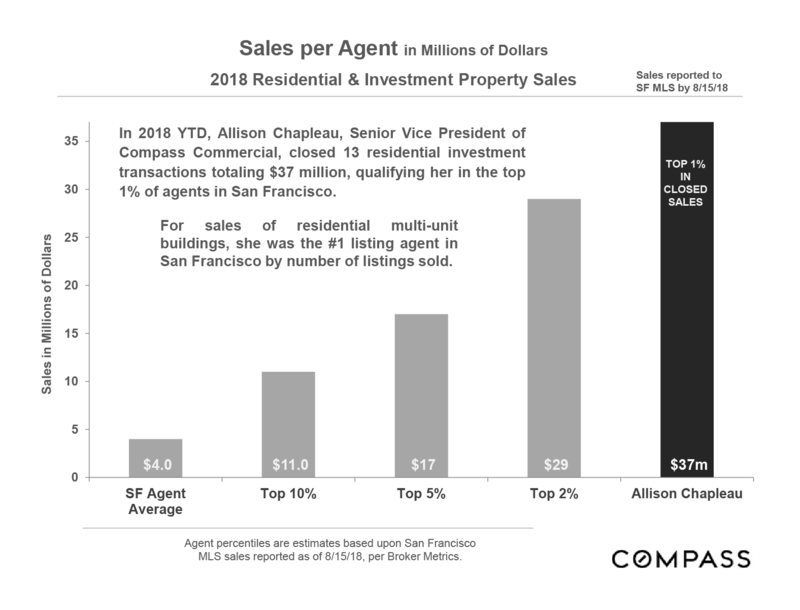 In 2018 Allison Chapleau has qualified as the top 1% of agents in San Francisco. For sales of residential Multi-Unit buildings she was the #1 agent in San Francisco by numbers of listings sold. Agent percentiles are estimates based upon San Francisco MLS sales reported as of 8/15/18, per Broker Metrics.